The relationship between active transportation and public health can seem so plainly obvious that we tend to take it for granted. Who could question that air pollution, obesity, and road fatalities are major public health concerns that have a direct connection to the availability of safe and convenient travel options other than driving? But as Erica Schlaikjer at The City Fix explains, research quantifying the social benefits of transit, walking and cycling over driving can be incomplete or otherwise lacking, especially when viewed at a global scale. 1.2 million people die in traffic crashes each year. And physical inactivity is responsible for 3.2 million deaths and 19 million healthy life years lost annually. Other health risks come from outdoor urban air pollution, traffic injuries, traffic noise, climate change and non-communicable diseases, like heart disease and diabetes. [WHO’s Dr. Carlos] Dora also mentioned the lack of access to vital goods and services, as well as social networks, equity and cohesion, as being a “profound and under-reported” global health risk. The public health impacts of transport can be examined from many perspectives. From an economic standpoint, you can measure how much money a country spends per disease, the number of lost days of work and the cost of years spent with a disability. WHO has even developed a tool, known as the health economic assessment (HEAT) tool, to estimate the economic savings resulting from reductions in mortality that result from cycling. There are countless other models that measure other indicators. 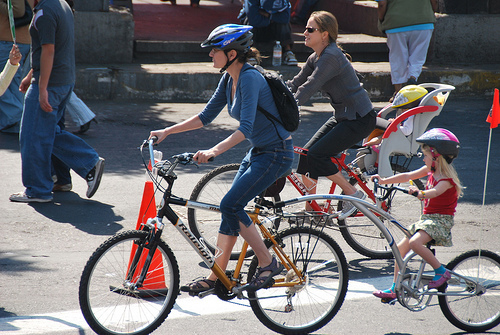 Dr. Dora believes sustained efforts around land use planning, cycling, walking and transit could produce greater and more sustainable safety outcomes than efforts to reduce drunk driving. Pretty interesting idea. Elsewhere on the Network today: The Dirt reports on the explosive growth of bus-rapid-transit systems worldwide. Rebuilding Place in the Urban Space remarks on different bike parking strategies that might be employed in lieu of car parking minimums in new housing developments. And Transit in Utah muses on the 40th anniversary of Amtrak.